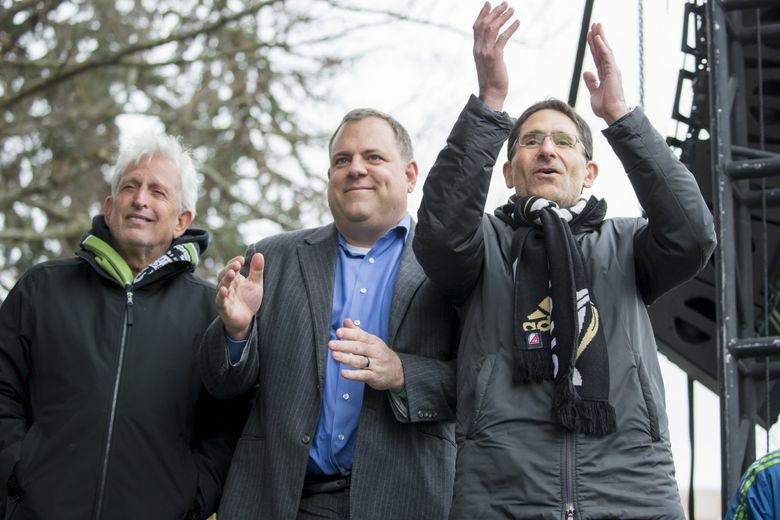 Sounders general manager Garth Lagerwey helped guide the team to its first MLS Cup title in 2016 and a return to the final last season. But his Sounders are only now pulling out of a third consecutive poor start to the regular season. Sounders general manager Garth Lagerwey knows he isn’t out of the proverbial woods from either a team or job-security perspective. He and his wife were already sleep-deprived, caring for an infant son — their third — born in January. “I told her not to read the internet,’’ Lagerwey said with a smile. Now, the transfer window closed and Lagerwey having added Ruidiaz and left back Brad Smith — while missing out on Paolo Hurtado — he has caught his breath and contemplated what’s ahead. That includes the vote, running Sept. 19 through Oct. 17, as part of Sounders minority-owner Drew Carey’s “Democracy in Sport’’ initiative. The comedian was fascinated by how fans of Real Madrid and FC Barcelona vote on the team’s president and insisted a similar initiative be implemented here before he’d join the ownership team. Lagerwey is technically correct that his seventh-place Sounders, who play at No. 6 Portland on Sunday, have “accomplished nothing’’ yet. “You would hope that enough people recognize the track record,’’ he said. Lagerwey admits he’s more focused on winning championships and doing well in CONCACAF Champions League. But he insists he isn’t “brushing off’’ the vote and understands the seriousness of it. Alliance Council members consist of full or half season-ticket holders or suite holders — excluding ticket brokers — and receive as many votes as tickets on their accounts. Team bylaws require 40 percent of eligible voters to participate for the result to be valid and any firing needs a two-thirds supermajority. “I think that’s going to be impossible to match no matter who the general manager is or what their performance is,’’ Alliance Council vice president Stephanie Steiner said. Steiner is more concerned about getting enough voter turnout for an official result. She assumes the more passionate fans will cast ballots; but is worried about “reasonably satisfied’’ fans with bigger life priorities than voting on a sports executive. “That’s why we’re getting the message out about this now,’’ she said. “It’s like being a fan of an Indie band,’’ he said. “If you knew Pearl Jam when they were playing in front of a couple of hundred people in a garage, you’re going to feel differently about them when they’re playing in stadiums.